This bridge replacement project involves Bridge No. 116 in Cumberland County on Rowan Street (NC 24/NC 87/NC 210) in the Haymount Historic District. This bridge allows vehicular traffic to travel over the CSX Railroad, Norfolk Southern Railroad and Hillsboro Street in Fayetteville, North Carolina. 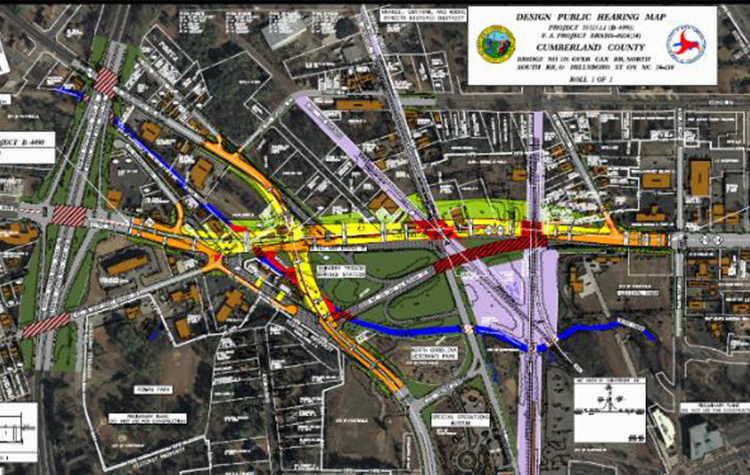 The overall project including realigning Rowan Street, Bragg Boulevard and Murchison Road to connect all three roadways in a single intersection. The current bridge is being replaced with two smaller bridges, one over the rail lines and one over Hillsboro Street. 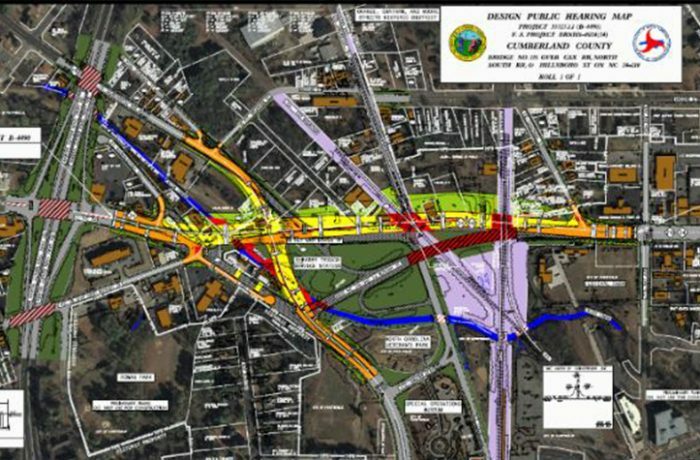 This project allows for the implementation of vital bicycle and pedestrian crossings that will connect planned greenways with the NC Veterans Park and the downtown area. TGS is providing CEI services to Norfolk Southern for the rail overhead bridge.